Being a momprenuer is a fun-struggle! I know most of you are saying “fun-struggle”? What are you talking about Nicole Alicia? I didn’t just step into being a writer, I have been writing stories since I was in elementary school. I have loved reading and just prose in general ever since I can remember. I started blogging way back in 2007 over at nicolealiciaonline.com and started freelancing in 2012 I think it was. So, when I was laid off from my corporate job back in October of 2015, I had already decided months prior to that, that I was really going to kick up my writing career and start freelancing part-time on the side. 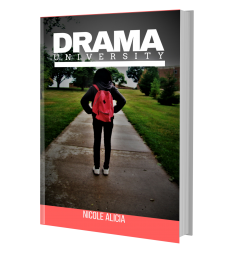 I had been working on my debut novel, “Drama University” for about 8 years already. Because, I had started and stopped writing due to life circumstances (miscarriages, deaths, depression) and just plain personal doubt, I had dropped writing and picked it up more times than I care to count within those 8 years! With this layoff though, instead of looking for other employment immediately. My husband and I sat down and talked. He knew my passion wasn’t really working outside the home anymore. We came to a mutual agreement that instead of paying almost $300 in childcare a week, me being stressed out and tired all the time, that I could just become a work-at-home mommy. My son was about 18 months at the time and I was very apprehensive at first. I mean I hadn’t been at home with him all day consistently, since he was nearly 3 months old! At first I took a week to get together my game plan and what our schedule was going to be. Can I tell you this was a major adjustment for me! I was used to just getting up in the morning getting ready, rushing to drop him off at daycare, rushing to grab breakfast and rushing to work. The first week was rough! 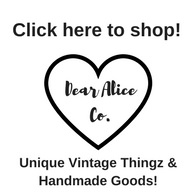 I was trying to figure out what to do business wise and then what to do as a mom. It was a mess! My game plan I had put together, somewhat went out the window at first. It has since improved, but is ever changing! Some days, my son has a rough day and has several minor breakdowns (lots of crying and whining) because he wants to do something I don’t want him to do or simply because I can’t understand what he’s trying to tell me. My main objective had always been to find balance between working from home and being here with my son. Someday there is balance and someday there isn’t! Some say, “Oh my goodness Nicole you do a lot!” I say sometimes, I’m not doing enough…but that’s the perfectionist in me. Being a mom, running businesses, being a wife…it can be a total struggle sometimes. Often it is, but is the struggle worth it…MOST DEF! The “fun” part of the struggle is seeing that smiling baby’s face everyday, getting to figure out what works best for YOU and getting to pursue my passions! Every day ain’t gonna be perfect…don’t tell me that though ’cause I still try! I chose this life, it didn’t choose me! All Struggles lead to better, right? RIGHT!